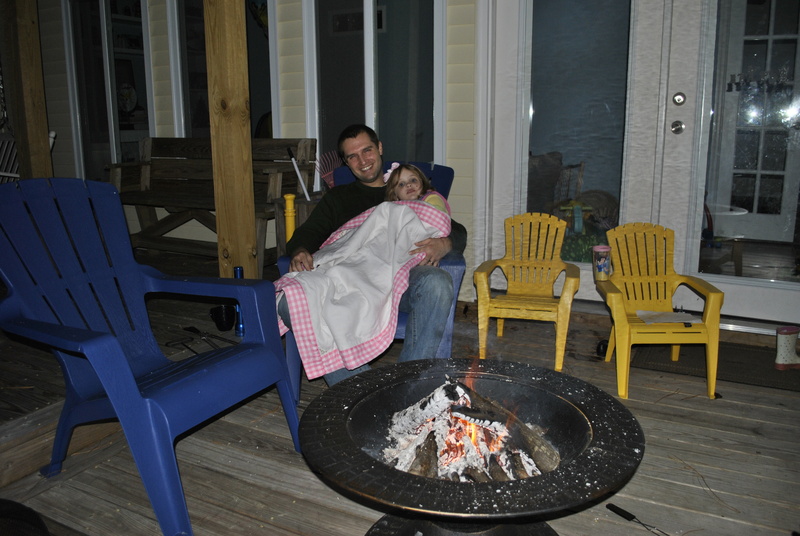 Last Christmas, my sister and brother-in-law gave us a fire pit. We were really excited about, but there was always some reason we didn’t actually USE it…it was too cold or too hot or too light outside or raining…or Russ was working late…or I was working late. You know, life. But last weekend, we decided it was the perfect time to try it out. So great! And now we are hooked. We did it again last night. I mean, really, what’s better than sitting around the fire on a crisp fall evening sipping hot chocolate, listening to Christmas music, roasting marshmallows, making s’mores and hanging out with your favorite people? Nothing. Nada. The only thing that would make it better is if Caleb would refrain from trying to touch the fire and therefore be allowed to hang out with us. So far, he’s only made it 5 minutes before I put him to bed so we can enjoy the time without fear of third degree burns and a screaming toddler. But the upside of that is that Taylor has gotten some good quality time with the undivided attention from both parents. Daddy I want to cuddle with you. and climbs up into his lap with her blanket in hand. I love my whole family. Then she snuggles her hello kitty hat covered head under his chin as he and I share a glance that confirms that this is what dreams are made of. 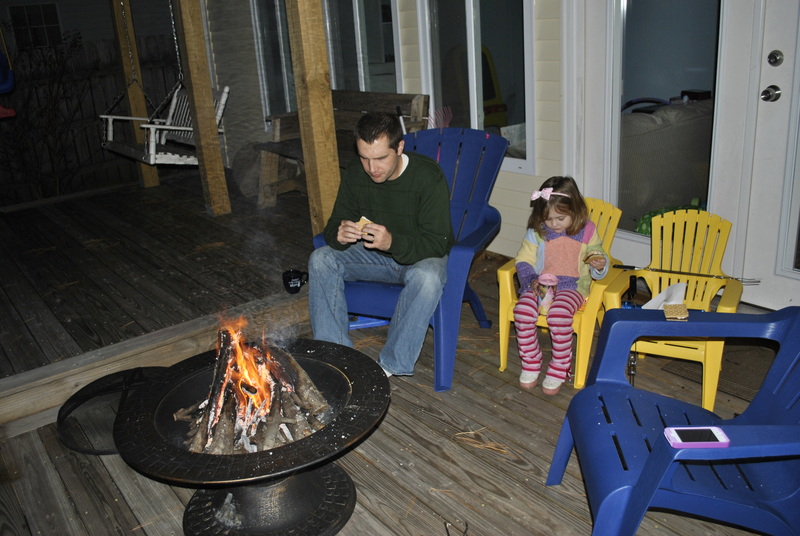 Exactly what we envisioned when we bought the fire pit. I am so happy it is loved. 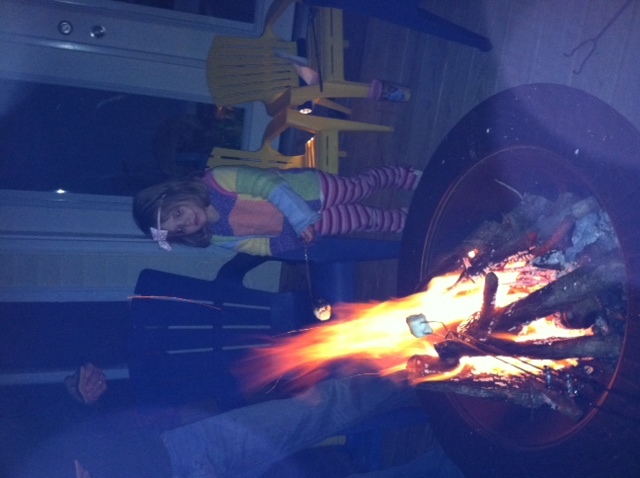 Can we use the fire pit on Christmas when the Taylors/Blackwelders/Stephens are all there? Just reading this and tears flowing….love!